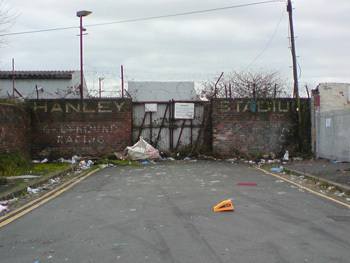 Club was formed in 1929 and the speedway racing began at the Sun Street Stadium in Hanley, Stoke on Trent. This appeared brief until pre-war 1939 when 30 thousand+ folk paid to watch Speedway until July when management said it was making a loss!! Potters resumed post war in 1947 and in 1949 were Div 3 Champions and also won the 3rd Div national Trophy. 1953 Saw another closure until 1960 when Mike Parker and Reg Fearman took the reigns, the early 60’s was a successful era for the Potters and would have been Provincial League Champions in 63, but they lost the title to close rivals Wolves, who successfully appealed against the use of a Middlesbrough rider guesting for Stoke in which they lost! 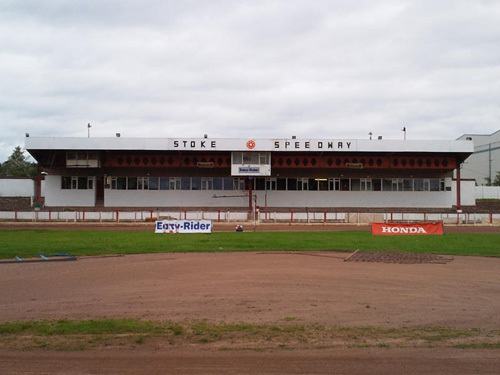 The end of 1963 was the end of Speedway in The Potteries until 1973, 10 years later when over in the neighbouring Borough of Newcastle under Lyme, The Potters roared again, hence under the name of Chesterton Potters, this name lasted for one season and then reverted back to the more traditional Stoke Potters. 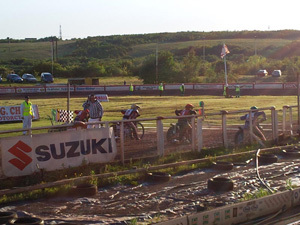 The sport has been ever present at Loomer Road since 1973 apart from a seasons hiatus in 1993 and also in 1996 when the team merged with the recently closed Cradley Heath team to become the Cradley/Stoke Heathens!! Normality resumed in 1997 and Stoke Potters have been known as that since!! 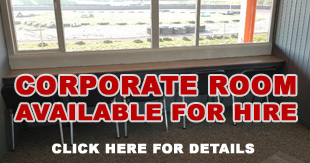 The current promoter is Dave Tattum.